I have been invited to be a regular panel host on NBC’s Atlanta & Company “Real Talk” panel! I guess I should call up a few of my teachers from back in the day and tell them my gift of gab has finally paid off! I will be a regular panel host along with Christine Pullara, Cara Kneer and Hank Denson. I could not think of anything more fun than me getting to give my 2 cents about a broad host of topics on LIVE TV. This crew is as loving as they are opinionated. Tune in and see us have some fun and get real all at the same time. My new segment, “Friend To Friend”, on NBC’s Atlanta & Company, can help you get your friend back! Why is it that we will go to therapy to mend a failed marriage but we will not seek the help we need to fix a broken friendship? Why suffer when I can help? Do you have a friend that you’ve lost touch with and you dearly miss? Perhaps you and a friend had a falling out and with space you have gained enough clarity to want to revisit the friendship and just need my help. Whatever the case, I have the answers. Email me at Denna@DennaBabul.com with your friendship dilemmas. Denna’s digital courses, “Get The Love You Want in 6 Weeks”, “Why This Guy”, and “Fatherless Masterclass”, are carefully developed programs that are sent directly to your email for you to learn in the comfort of your own home. We welcome you to join our tribe of women as they learn more about themselves and tap into the potential that we all have. 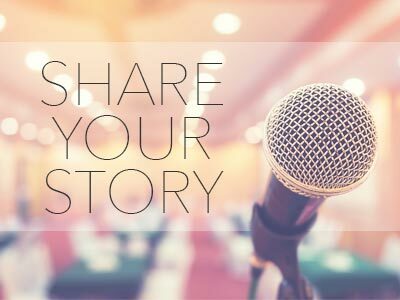 The Fatherless Daughter Movement focuses on raising awareness and empowering fatherless daughters through: group work, 1-on-1 sessions, family reconciliations and a newly thriving mentorship program. Our goal is to help women deal with hardships from their pasts in order to have a thriving future. I am Denna Babul, and I am a fatherless daughter. There was a time where saying the words, “I am a fatherless daughter” would have brought me to tears instantly. I lost my father twice. Once to divorce at the age of 3 and again at 13 when he died unexpectantly. His loss was the defining moment in my life. 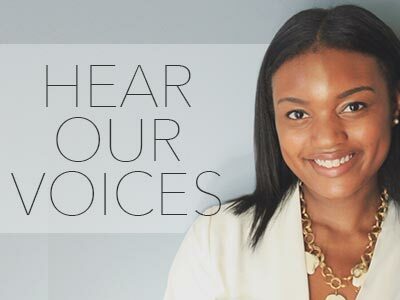 It was on the way home from his funeral that I felt a calling to become the Voice of Fatherless Daughters. It is not what I would have chosen as my life’s purpose, but the universe had other plans. To date, I have produced a documentary, co-written a book, and started a 501c3 to benefit fatherless daughters. 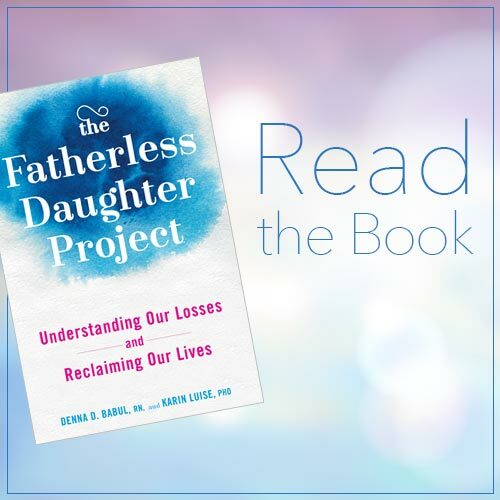 In this next phase, The Fatherless Daughter Movement will offer coaching for both daughters and families alike, mentorship programs, courses, more books and an even bigger foot print to bring light to the very silent epidemic of fatherlessness around the world. I hope you’ll join me in the Fatherless Daughter Movement. We still have so much great work to do. 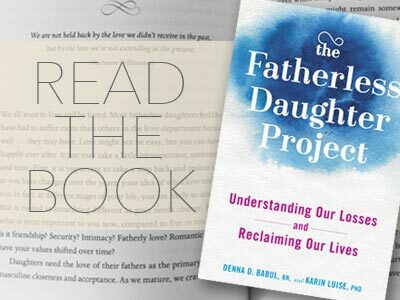 The book focuses on things that every fatherless daughter should know about herself, from why she picks the men she does to how the specific circumstances of her father loss play out in her life … and so much more that will make you laugh, cry and think deeply about who you are and how amazing you really can be. Through stories from celebrities to the girl next door, they combine other fatherless daughters’ experiences with research and our own insight to guide women to live triumphant lives.